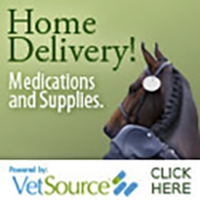 Pacific Crest Sporthorse is an equine veterinary practice dedicated to quality medicine and personal service. Our goal is to become an essential part of every aspect of your horse's health management, a place you'll feel comfortable calling for help or advice anytime it's needed. at the World Equestrian Games in Tryon. Click her to learn about Dr. Moneta’s experience at a recent technical equine rescue course! Available for emergencies 24 hours a day.